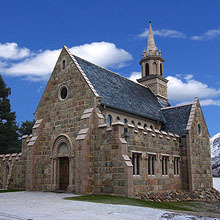 LTM specialises in the conservation and repair of historic masonry structures. However, ecological building is a natural progression for LTM. The principles of ecological building are similar to building conservation, focusing on the importance of ‘breathing’ building systems and the use of traditional building materials. LTM have been involved in a number of new build projects, all focusing on environmentally friendly construction methods and materials such as stone and lime. LTM welcomes this exciting new development into ecological building, giving our respected LTM masons an opportunity to share their skills and understanding of lime technology with the new build construction industry. We believe that building conservation and sustainable building are clearly linked; it is therefore our responsibility to bring our skills and expertise to inform and educate wherever possible. 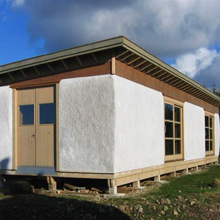 Pictured Above: LTM Visit to Oregon, America to teach Lime Mortar Coatings at a Straw Bale Building Workshop. 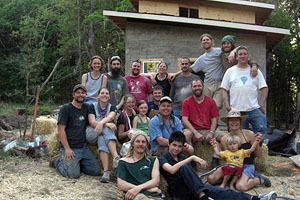 For more information about Straw Bale Building please visit www.strawbale.com. "Learning from Steven was not just beneficial, it was inspiring. His knowledge has influenced how I plaster all of my straw bale projects. I learned so many details about working with lime that I can now teach my own students with much more confidence."